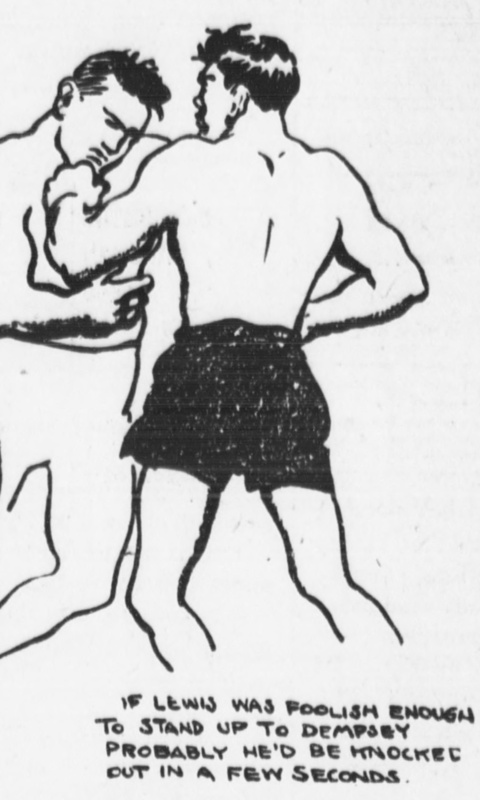 Today, many young people remember the advent of mixed martial arts (MMA) as having its roots in the early 1990s, with the founding of the Ultimate Fighting Championships (UFC), in which exponents of various martial styles competed against one another for supremacy. 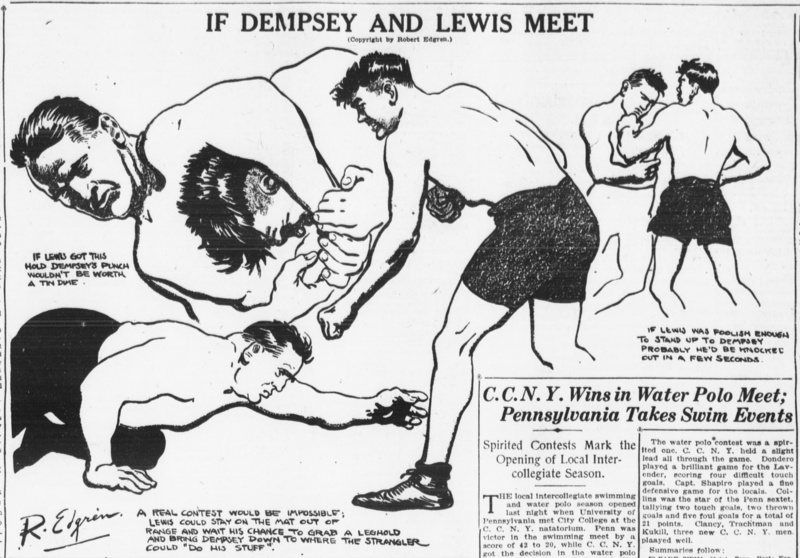 Unfortunately, no account of an actual match between Dempsey and Lewis seems to exist. 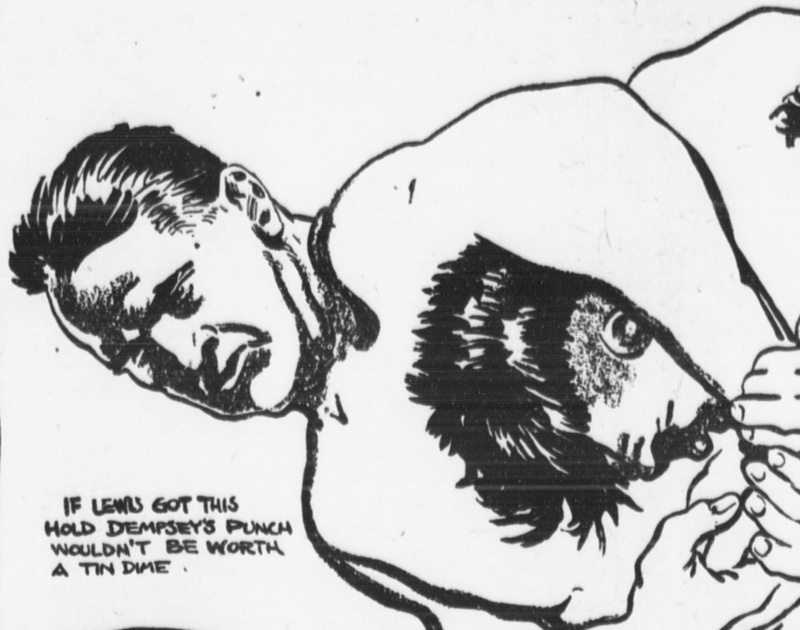 However, despite the occasional faulty lines of reasoning, here, more than seventy years before the founding of the UFC, the modern Mixed Martial Arts contest has been aptly predicted.